Five tracks under the title Musica Sacra Nova from John Tchicai's fusion album "Hymne Til Sofia" / "Hymn To Sophia" (More info). Improvised by John Tchicai (tenor saxophone), Peter Ole Jørgensen (percussion), and Frederik Magle (pipe organ). Recorded May 2001. 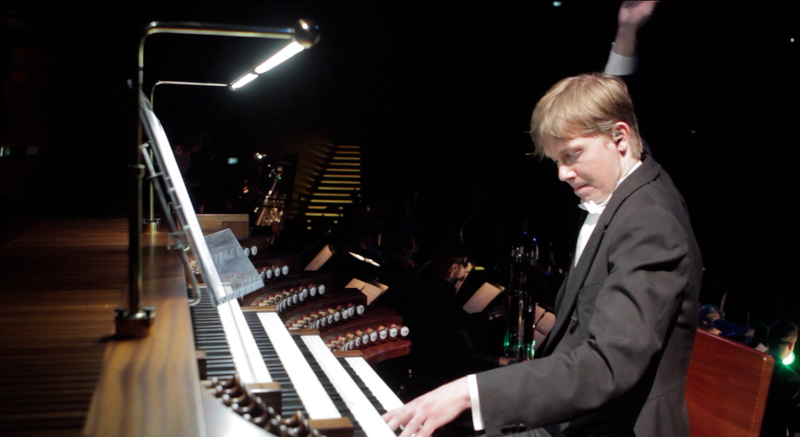 At the pipe organ console in Koncerthuset, Copenhagen. Music video by Danish hip hop group Suspekt with the crossover track "Helt Alene" (All Alone) from the album "Elektra" released September 2011 (Gold in Nov. 2011). 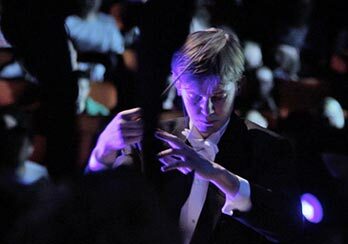 All music performed by symphony orchestra is composed, arranged and orchestrated by Frederik Magle. 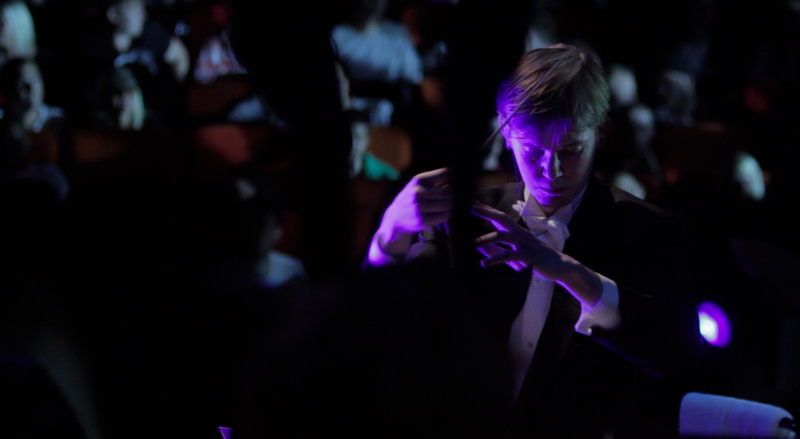 Frederik Magle conducting the orchestra at the release concert of "Elektra", 2011. Live recording (low quality, recorded with mobile phone by a member of the audience) of Suspekt's "Parasitter" (Parasites), from the release concert September 10th, 2011, in Koncerthuset, Copenhagen. 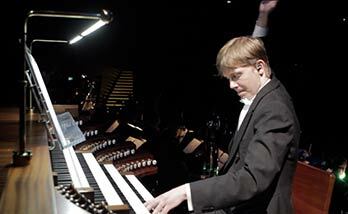 Frederik Magle plays the pipe organ and conducts the orchestra at the same time. Visit the Fusion and Crossover Music Forum on Magle International Music Forums for fusion and crossover music discussions.